Today we’re talking about the scarf hold position, known as kesa gatame in judo. 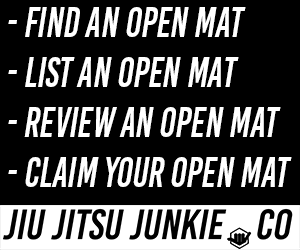 In this article, we will be taking a look at the use of this position in Brazilian Jiu Jitsu compared to other grappling sports as well as some of the common uses and attacks from this position. Contrary to most of the other positions we have covered on this site, scarf hold as a position is actually more popular in other grappling sports; particularly judo and wrestling. This is because of the position’s powerful pinning ability, especially enabling the top grappler to prevent the bottom grappler from turning away and exposing the back, which is often the goal of a BJJ practitioner, as back control is at the top of the positional hierarchy and is also one of the most, if not the most powerful finishing positions. Further, in the traditional scarf hold position, the top grappler has his arm wrapped around the bottom grappler’s head, giving the bottom grappler a potential path to the back. For this reason, most BJJ practitioners make use of the modified scarf hold position or kuzure kesa gatame instead, which utilizes the underhook as opposed to the head grab, preventing the bottom grappler from escaping directly into a back take. Many BJJ practitioners also make use of the reverse scarf hold position, with its most common usage being used to advance into the mount position. While it is true that a traditional scarf hold leaves the top grappler open to an escape into a back take, many BJJ practitioners exaggerate this risk. Because the position is under utilized in BJJ, most BJJ practitioners simply do not have the requisite knowledge of how to properly apply this position. After all, if the escape into the back take were so easy, then scarf hold would not be such a powerful pinning position in wrestling and judo! Control and elevation of both the inside elbow and shoulder; this will prevent the bottom grappler from turning in and being able to escape into a back take. Leaning forward into the position and keeping the head low to prevent the ‘frame and sit-up’ escape or the ‘leg over’ escape (see below). When it comes to submissions, the most common attacks would be those attacking the near arm, commonly with the Americana with the legs, or the straight armbar. Nevertheless, the grappling world had the pleasure during Metamoris 4 on 9th August 2014 to witness a rare catch wrestling submission from the scarfhold position, with Josh Barnett submitting Dean Lister via a ‘chest choke’. You can watch a clip from the actual match in the first video below (beginning at the 8 minute mark) and a short instructional by the man himself in the second. To conclude, while scarf hold is a popular position in other grappling sports, it remains highly under utilized in BJJ. However, due to the dynamic and constantly evolving nature of BJJ, coupled with its tendency of constantly assimilating moves from other grappling arts, it is possible that this position may become a more widely utilized one in the future. In the meantime, BJJ practitioners should study and develop this position, who knows, you might be able to surprise your gym rival!